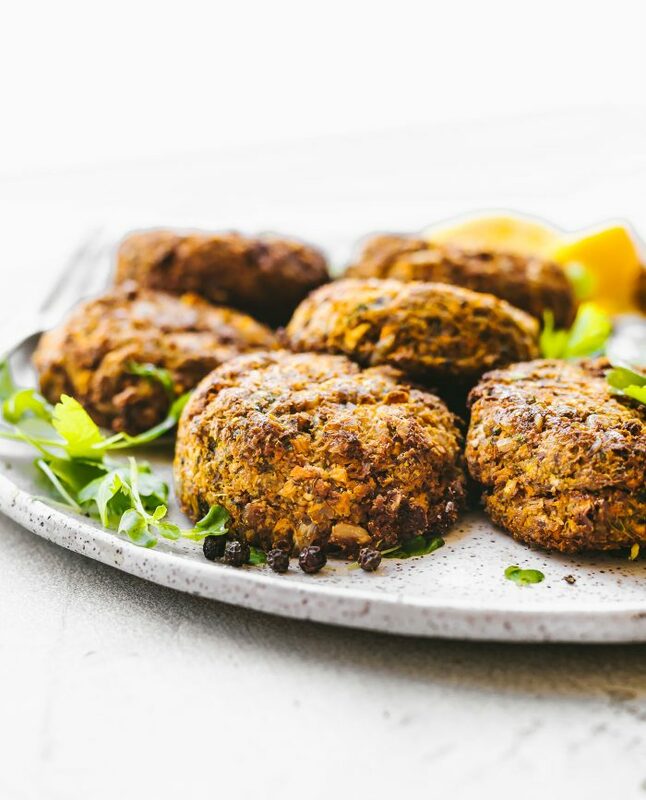 Cilantro Ranch Sweet Potato Cauliflower Patties, oven baked or cooked in the air fryer! 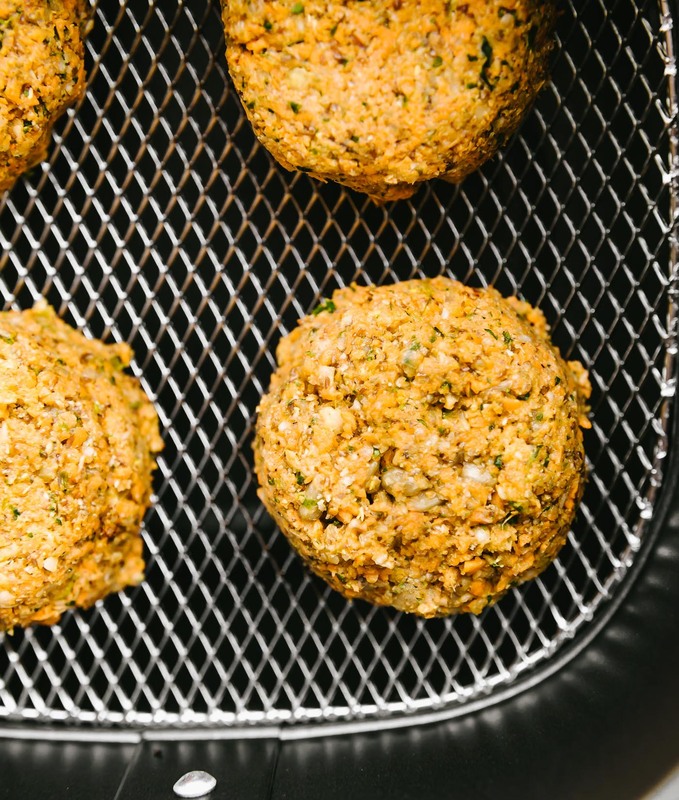 Either way you cook these cauliflower patties, they’ll come out perfectly crispy and delicious. No eggs needed. A vegetarian baked appetizer, meal, or snack! Paleo and vegan options included. Oh I’m a day late and a penny short. Scratch that, I’m just a date late in posting this baked cauliflower patties recipe. This is what happens when you try to take a mental break on a Sunday. Ya’ll, I’m not going to lie, Anthony Bourdain’s sudden death brought up a lot of heartache but also concern for my (our) mental health. This whole “hustle hustle, work work,” can no longer be the focus. It must stop, am I right? It’s time to take back our passion. I’m reminded of one of his quotes. With that being said, I thank you. Thank you for allowing me a place to share my passion. Thank you for being part of this tribe. Thank you for allowing me to share my everything! 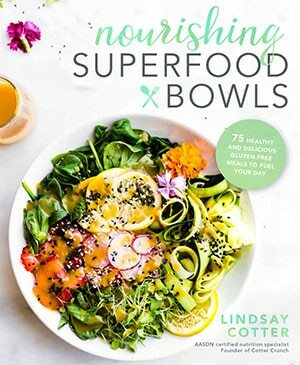 Food, health, photography, and recipes made from the heart (nourishment for the soul). Today, I am taking a little break from the gut health “detox” recipes. 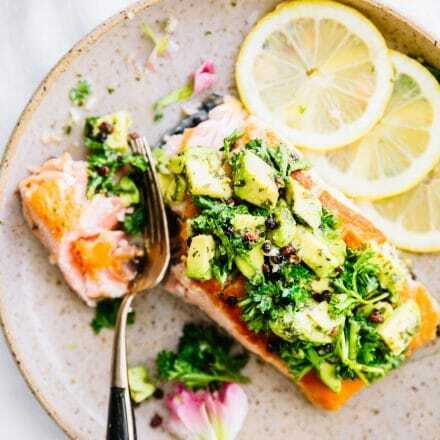 Don’t worry, we still have one more gut health recipe, you’ll just have to wait till Thursday or Friday. Or just jump to this immunity boosting smoothie video and that whip up while you read, cool? Alright, so back to THIS RECIPE! This has been one of MY favorite recipes to make lately. It’s not going to be one of those viral recipes. Heck, the SEO is probably wack. But it’s a recipe that came from getting out of my “hustle hustle” mindset and getting into the kitchen. It’s a recipe made my heart swoon with flavor love. One that filled my belly while also nourishing my soul. There I go again, talking about feeding the soul. Corny Cotter moment. 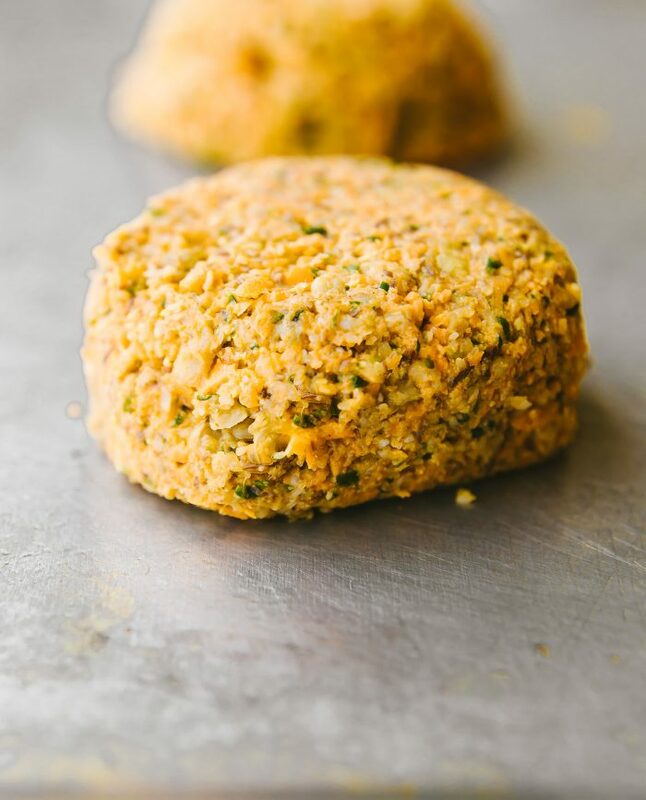 We’re going to call this recipe Cilantro Ranch Sweet Potato Cauliflower Patties, or to make it short and sweet Cauliflower Patties with PIZAZZZZ! You can make them in the oven or in the handy dandy air fryer (my new obsession). Either way, they make for a delicious vegetarian meal, snack, or appetizer. Plus they freeze well for meal prep. To MAKE the cauliflower patties: Blend ingredients. Roll into patties. Chill the batter. Just bake in the oven bake or place in the air fryer. 20 minutes and your done. So simple! 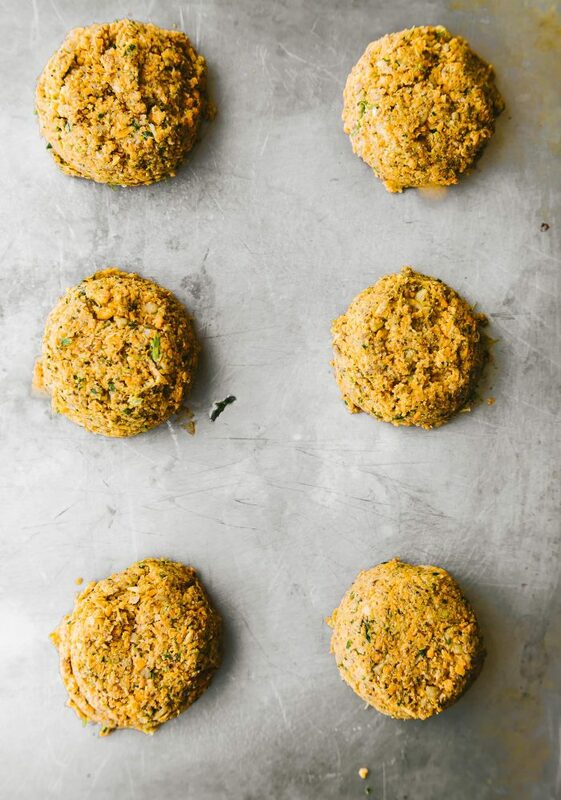 Think of these cauliflower patties as mini veggie sliders, just without the bread. The texture is SPOT on and the flavor is all kinds of crazy ranch spicy good! That’s a legit saying right there. Haha! So yes, they are healthy, loaded with vitamin A, Vitamin K, fiber, omegas, and more. 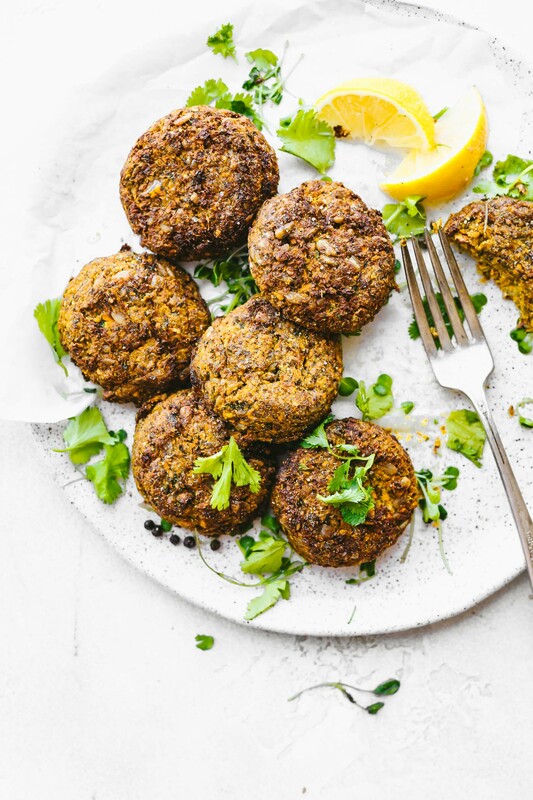 And yes, they are paleo friendly, vegan friendly, and dare I say it…. could be made whole 30 friendly. That was not my intention. My whole intention was to make good food from real food. To make the most out of the simplest ingredients. To help YOU and I put wholesome food on the table. To quote Anthony Bourdain one more time…. Pre-heat oven to 400F. Line a baking sheet (or oil) and set aside. Next cut your peeled sweet potato into smaller pieces. 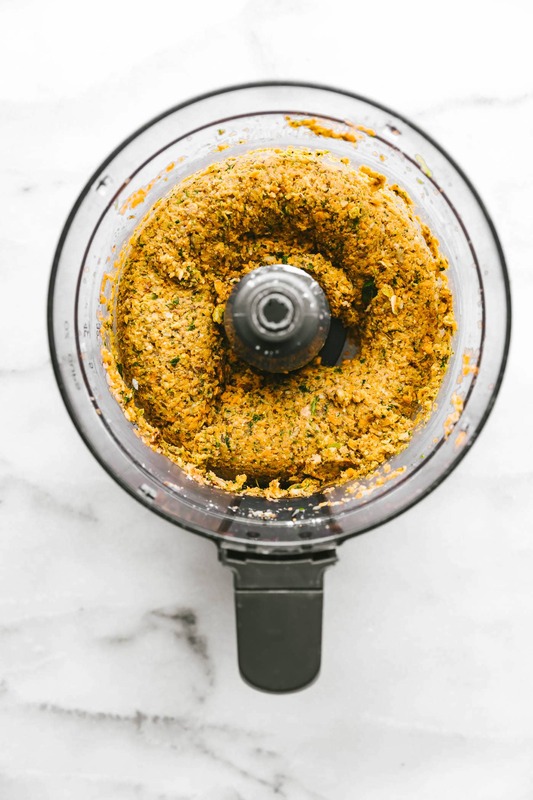 Place in a food processor or blender and pulse until the larger pieces are broken up. Add in your cauliflower, onion, and garlic and pulse again. Add in you sunflower seeds, flaxseed, arrowroot (or flour), cilantro, and remaining seasonings. Pulse or place on medium until a thick batter is formed. See blog for picture. Place batter in larger bowl. Scoop 1/4 cup of the batter out at a time and form into patties about 1.5 inches thick. Place on baking sheet. Repeat until you have about 7-10 patties. Chill in freeze for 10 minutes so the patties can set. Once set, place patties in oven for 20 minutes, flipping halfway. If you made your patties extra thick, they could take closer to 25 minutes. See notes for Air fryer cooking option. 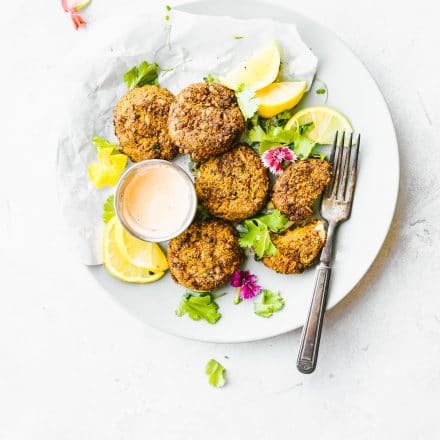 For Air Fryer Option- Place cauliflower patties (4 at a time) in air fryer at 360 to 370F for 18 minutes, flipping halfway. If your patties are extra thick, they could take closer to 20 minutes. Grab some veggies, a blender or food processor, and let’s create a meal to share with one another. P.S If you have an air fryer, I suggest you make these dessert fries to go along with it. DIVINE! When’s the last time you got in the kitchen and just went with the flow, took your time, and enjoyed that slow food moment? 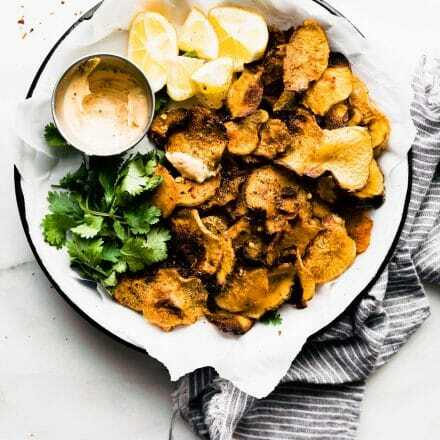 BBQ Baked Rutabaga Chips – The Unsung Hero Root Vegetable! 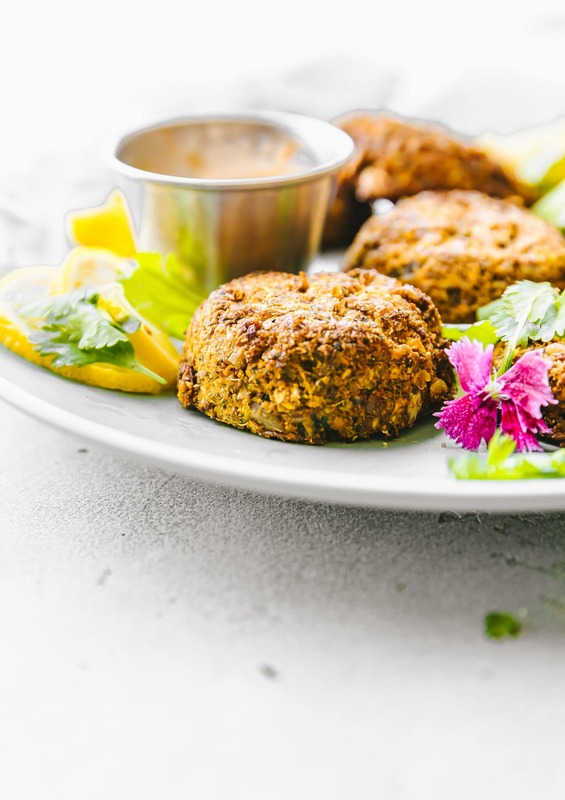 I adore these flavorful veggie patties! I’ll be making them a lot this summer! A perfect quick lunch. 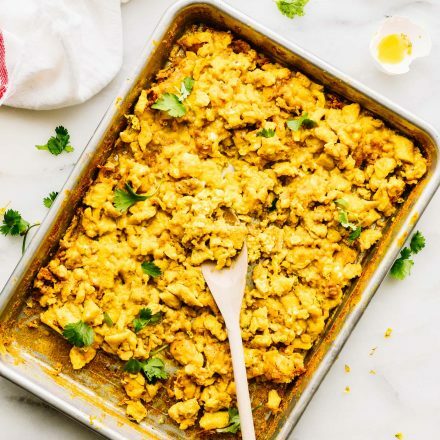 Make ahead to have them for the week! 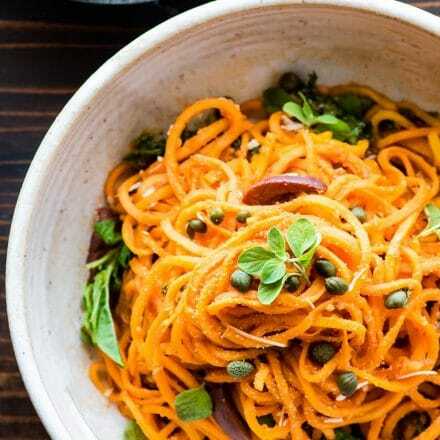 Anything with sweet potatoes is sure to be amazing! So creative and delicious! I don’t even know what slow flow kitchen cooking is anymore, although for very different reasons. I really, really want to make my own pasta though. I need to start making time for that. I think a pasta a wine party is appropriate then. Invite me! Beautifully said. I was really stunned when I heard what happened… I’d just woken up and I thought maybe I wasn’t all the way awake yet. So sad. I’m much more of a flow cooker these days. I lost my planning mojo. I buy ingredients and see what they make more often than not! So much flavor and texture going on in these, so good! So many suffer with depression and go without treatment….. there are so many causes, SO many risk factors (gut health, from my understanding, being one). It’s hard to see those we admire suffer. Such a tragedy. Those flavors, Linds… and cauliflower FTW! Oh what that cauliflower can’t do! They’re just coming into season locally and I cannot wait to get my hands on some. These are absolutely perfection! I so agree. It truly made me sit back, catch me breath, and rethink our pursuit of life, business, and health. <3 you. Lovin’ this sweet potato cauliflower combo! My daughter in law, a vegetarian, is coming to visit from Australia. 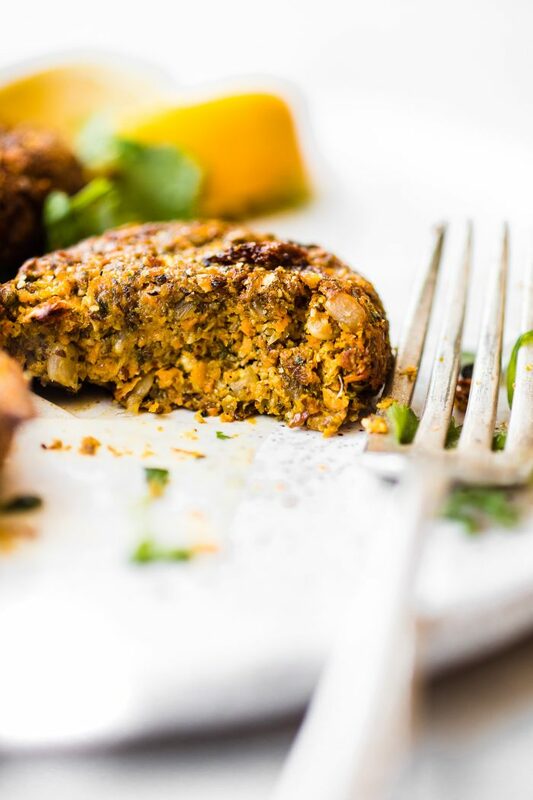 I urgently need to experiment with veggie patties in particular and other easy and tasty vegetarian dishes. Please help. sure thing! 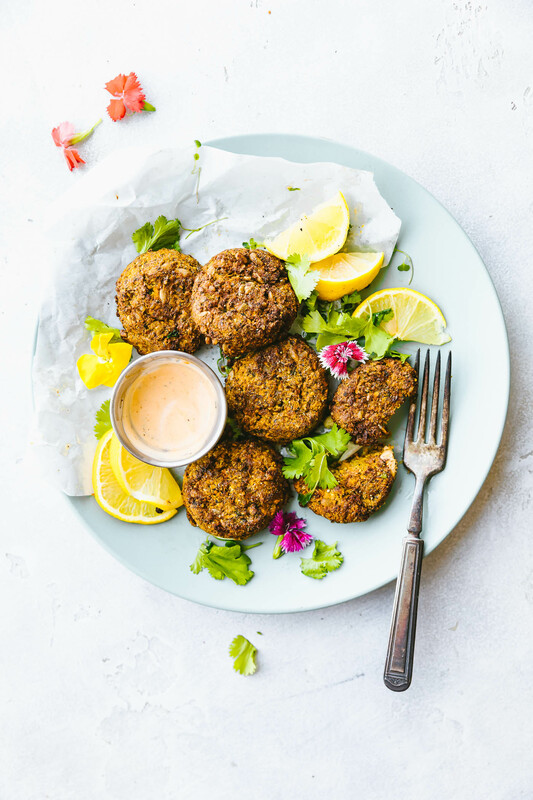 I love these and then I have two different veggie burgers you could try! sure thing! I have these patties or 2 other veggie burgers you could try. Seeing the cake is delicious, thank you for sharing. I made these tonight. They didn’t hold together like the ones pictured. What can I do do fix this. I made them exactly as the recipe said. They tasted yummy though. I baked them in the oven. Oh strange! Did you use fresh cauliflower or frozen? Hi Colette! So sorry you had trouble. Did you chill the batter? If that happens again, I would blend with more seeds. It could also be your food processor or blender. Happy to help! Let me know the details. 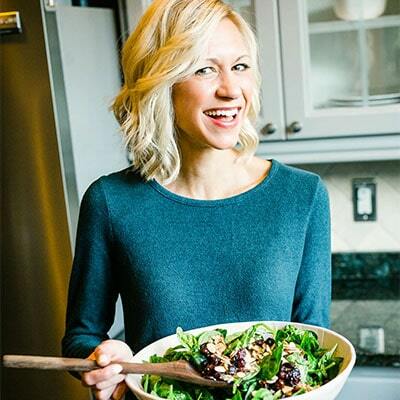 Your style of cooking is right up my alley and speaks to my heart! Thank you for all the lovely recipes !